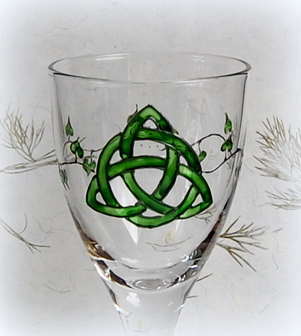 This beautiful Chalice has been Hand painted by *Moon Goddess Garden* with a Triquetra & Ivy leaf design. This has been outlined in a raised Pewter and infilled with a beautiful Forest Green before being fired to set the design. 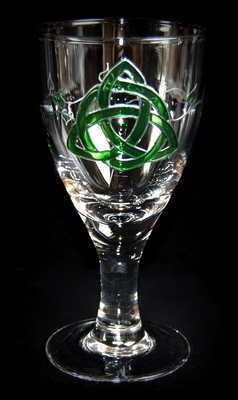 It is a simple & elegant design which will fit well on your Altar and be easy to clean, perfect for any modern Witch!